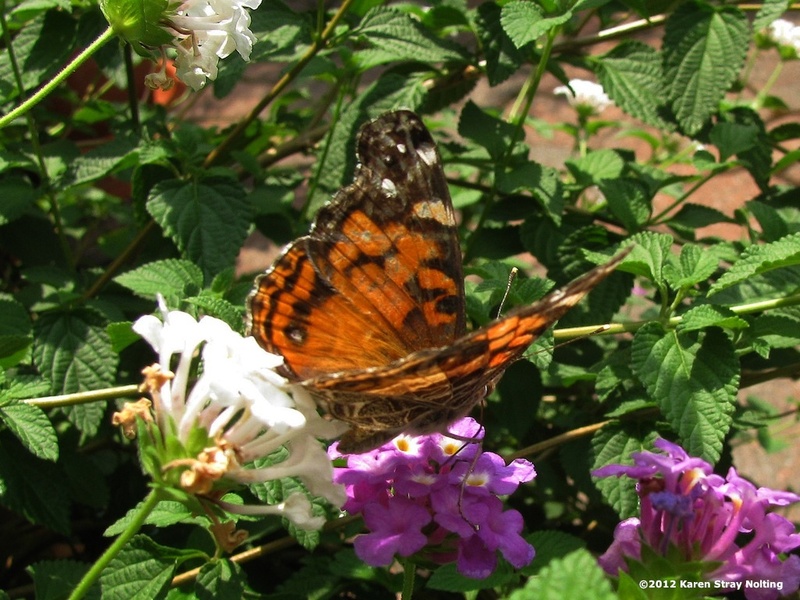 It's always exciting when several butterflies visit the garden at the same time. 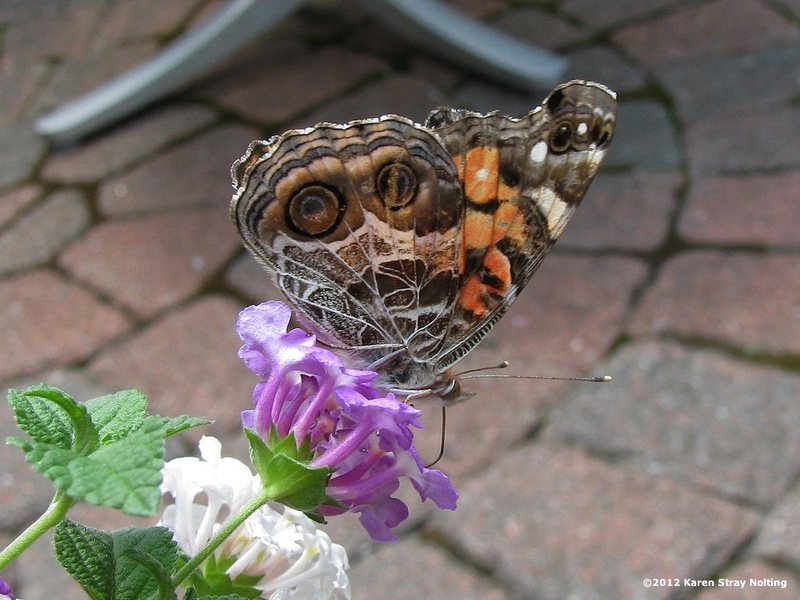 One afternoon last week there were two orange and black butterflies in our atrium that looked so similar I thought they were the same species. Looking more closely I could see they were different, especially when comparing the undersides of their hindwings. 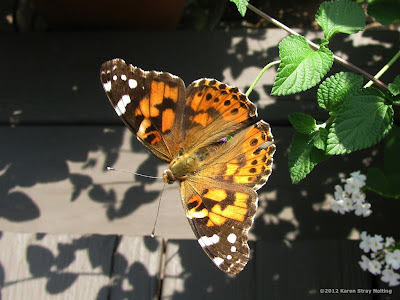 The first is a Painted Lady, Vanessa cardui. The underside of its hindwing has 4 small eyespots. The second is an American Lady, Vanessa virginiensis. 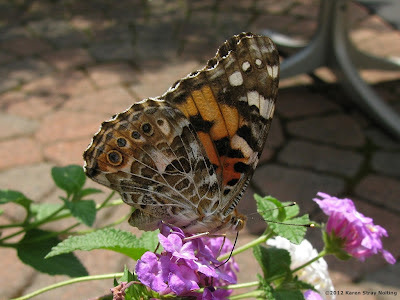 The underside of its hindwing has 2 large eyespots. When I showed our Nature Guide Jon the photos of the two species, he reminded me that I had also photographed a third species of Vanessa. 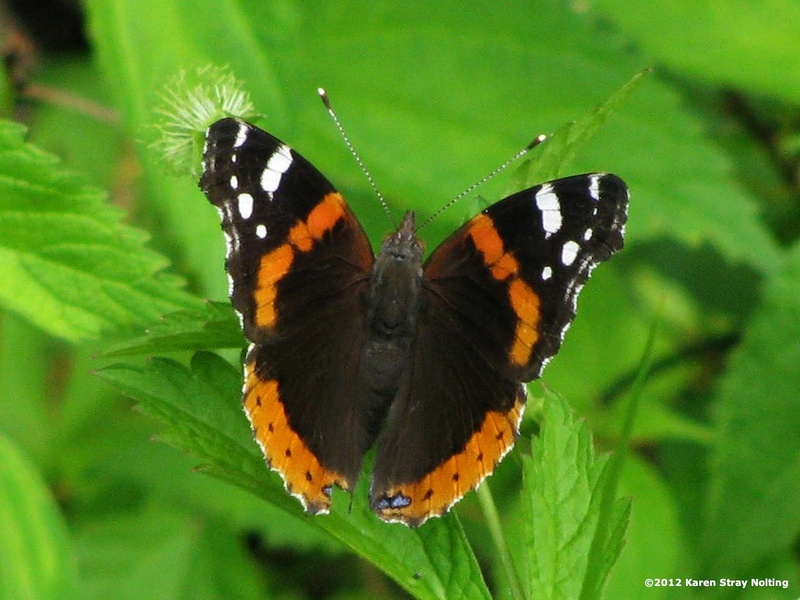 A few weeks earlier we had spotted a Red Admiral, Vanessa atalanta, on the D&R Canal towpath. So we've gotten to see all three of the eastern North American species of the genus Vanessa.